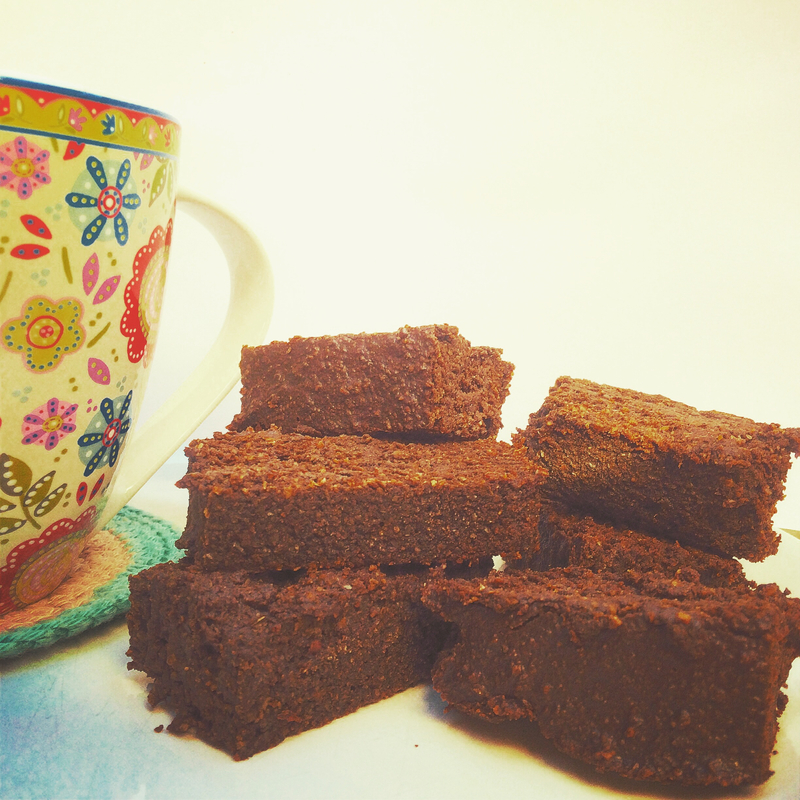 There are certain moments throughout the week that really, really call for a brownie…. Full of rich, warm and fudgy flavours, these brownies are naturally sweet, nut-free and indulgent without being sickly or heavy. The texture is 100% exactly how a brownie should be: dense and moist, and the perfect balance between ‘cakey’ and ‘gooey’. The addition of molasses and carob in this recipe hints at the fact that these are just a little bit more special than your usual brownie, and the best part is that they’re made with completely healthy ingredients! The reason I tried this recipe in particular was because my sister can’t stand dates, yet a lot of healthy brownie recipes call for them, and many of my raw chocolate recipes are full of dates for their natural sweetness. If you want to make some healthy brownies but either don’t have any dates to hand or aren’t a fan of them, then these could be the perfect alternative! ** If you don’t have carob in your kitchen, replace this part of the recipe with cacao or dark cocoa powder (the type you might get for hot chocolate, but ensure there’s no added sugar). Mix 2 tbsp of flax with 6 tbsp water, stir well and leave to set for around 15 minutes while you prepare everything else. Place your ground oats, raw cacao, carob, baking powder and salt in a large bowl and mix well to combine everything. At the last moment, add the vanilla extract to the liquid mixture. Pour the liquid mixture into the large mixing bowl and mix everything together well. The mixture is likely to be quite thick, so add a big splash (approximately 4 tbsp) of non-dairy milk. Pour the mixture into a small baking tin lined with greaseproof paper that has quite a lot of depth to it (mine was 15cm x 15cm, to make the brownies extra thick). Bake for around 25 minutes at 165 C – when you start to smell the mixture cooking, check how it’s doing in the oven. Best results will probably be with a fan oven. Stick a toothpick or very sharp knife through the middle when you think it’s done, and if the knife comes out almost clean, it’s time to take your brownie out of the oven! Leave to cool for 5-10 minutes in the dish. Turn out onto a wire rack and either leave to cool further, or cut a piece straight away to eat warm! When you’re ready to serve to everyone, cut into small pieces (you’ll only need a small piece each, since they’re very satisfying and filling). This recipe is made even more delicious when served with THIS VEGAN NICE CREAM! Cut a very small incision in the top of a brownie slice, stick in a piece of dark chocolate and warm the brownie in the oven for about 10 minutes to melt the chocolate for an even more indulgent-tasting, gooey treat! If you’re craving brownies this week but know your body needs healthy ingredients, choose these wholesome & nutritious treats, and see if you can save a few to share!